It’s been about a year since Acrobat X (10) was released, and given Adobe’s typical two-year cycle with this product line, it will probably be another year before we see Acrobat 11 coming out… So in the meantime, we’ve put together a list of helpful questions and answers that have accumulated here and during sessions with Adobe. Q: Does Acrobat X come in a 64-bit version? A: No – though it works on 64-bit operating systems. Q: Is Acrobat X Pro fully compatible with Microsoft Windows 7 64-bit? A: Yes – and Acrobat X version 10.1 now supports Office 2010 64-bit. Q: Will there be a 64-bit version in the future? A: I’m sure – we’re getting a lot of demand – no timetable though. Q: can Acrobat 9 be installed together with Acrobat X on one PC? If so, that’s great news. Q: Can version 9 and X coexist on a Mac running OS 10.6? A: Yes. we’re doing that at the moment! We’ve previously featured over 17 hours of free video tutorials for Creative Suite 5, plus three hours for Lightroom 3 – so here’s a brand new set for the recently-released Adobe Acrobat X Pro & Standard… In the free courses below, product experts share how to get started, the basics of the software, overviews of major new features, how to use key tools and functions, plus their favorite tips and most useful techniques. In total, there are three courses with 3½ hours of free content, spanning over 57 separate chapters. If you need a copy of Acrobat X Pro to get going, you can just download a free 30-day trial. In our earlier article on the differences between Acrobat X and earlier versions, we covered what PC Magazine wrote: the new software is “massively improved” and “faster and more powerful than ever,” with “finally a lucid, up-to-date interface” and “terrific corporate and automation features, including high-quality exports to Word and Excel documents.” Their review gives Acrobat X a rating of 4½ stars and concludes it is “the most powerful, flexible, and best-designed PDF software ever written,” and “a giant step forward, and an essential upgrade for anyone who creates or manages PDFs.” And About.com rates the product 5 stars. 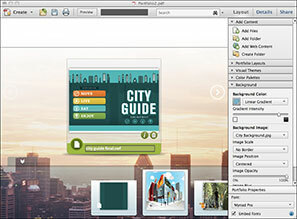 Adobe Acrobat X has just been released! 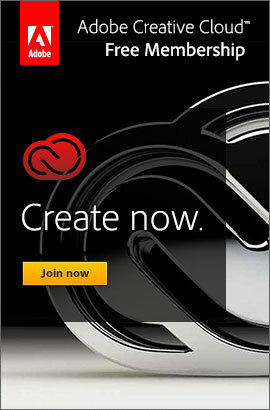 And continuing in our tradition of providing the direct download links for major Adobe products such as Creative Cloud, CS6, Captivate 11, and Elements 2019, below you’ll find the direct links for the brand new Acrobat X (10)… We also have added the direct links for the previous versions Acrobat 9 and Acrobat 8 as well, in case you also need them for any reason. The links given below go to the authentic and secure files residing on Adobe’s servers, are guaranteed genuine and will not change. They are especially useful when you are unable to download Adobe’s software via other means – often due to difficulties with the Akamai Down­load Manager (the Adobe DLM). Here it’s open and you can just use your browser, or another download manager of your choice. The links are listed below. For Windows, the Acrobat X Pro download is in the form of a single .exe file, and for Mac OS it’s a single .dmg file. There is no actual trial version of Acrobat X Standard available for any platform, but Pro includes all Standard features – so you can try out Pro for free and then decide which version you want at the time of purchase. Languages offered here are English, French/Français and German/Deutsch. Every couple of years when Adobe puts out a full new release of Acrobat, there are a few different editions to choose from and new features to study to decide which of them you’re going to get… This year is no different – the Acrobat X (10) family is available in the form of the free Reader, the familiar Standard and Pro, and a brand new Suite edition that bundles Acrobat Pro together with Photoshop, Captivate, and three other Adobe products in a package to deliver complete business communications.